← Sufganiyot for sale today! Hazelnut Linzers are in the cookie case – yippee. 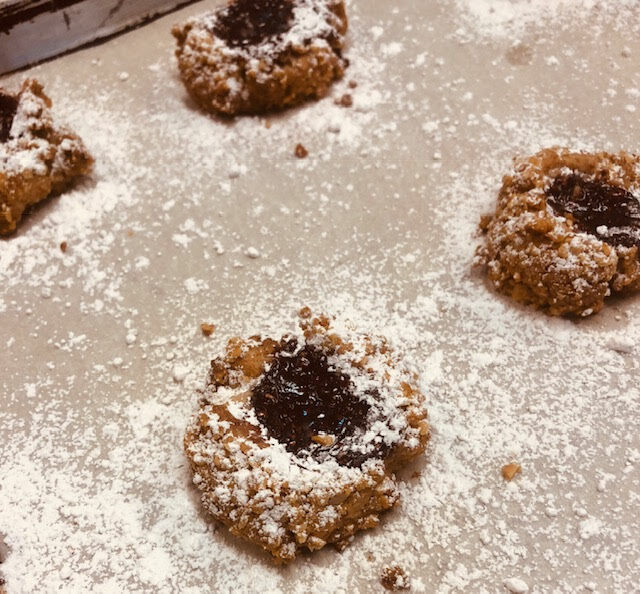 Tender, hazelnut cookie dough, filled with raspberry jam, rolled in crushed hazelnuts and dusted with powered sugar. There is nothing better….well….maybe there are some equal but it is hard to walk away from a linzer cookie. They also make great gifts. Thanks Charles! You are our neighborhood Super Baker!